There’s widespread concern about the global decline of honey bees and the associated loss of pollination services. The honey bee is the most important single species for crop pollination. This is because they are easily managed and can be moved around to perform pollination in different food crops. It’s estimated that one third of the food we consume each day relies on pollination. And this is mainly provided by bees. But bee populations are in decline. Several factors have been identified as causing the problem. These include poor bee nutrition caused by an inadequate intake of nectar and proteins, the collapse of colonies, known as Colony Collapse Disorder when most of the worker and adult bees suddenly die, threats posed by neonicotinoids – insecticides affect the central nervous system of bees – and finally attacks from varroa mite, a parasitic mite that transmits diseases and often viruses to the bees. Concern over bee population declines led to several interventions being taken. These include the suspension or banning of several pesticides across Europe. 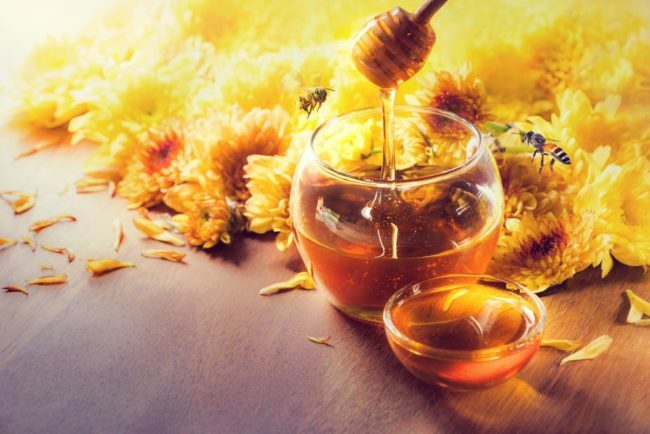 In the US, bee health programmes have been set up, while the department of agriculture has provided farmers with more than US$4 million to improve the health of honey bees in the Midwest. But solutions are hard to find, complicated further by the fact that in parts of the world, there are two distinct groups of bees: wild populations that aren’t domesticated and that roam freely, and managed bees which are enclosed in hives and kept for honey production and renting out for commercial crop pollination. This complication has led us to a crossroads. Some new research findings are sounding the alarm that managed honey bees have the potential to harm wild pollinators. This research suggests that managed honey bees are an agricultural species – more like livestock as they are domesticated and actively managed by beekeepers – and can harm other wild pollinators. This is particularly true if there are a high number of hives which can lead to an increase in competition for nectar and pollen resources. In these kinds of scenarios wild pollinators come off second best. What does all this mean for managed honey bees in different parts of the world? In particular, are these new findings applicable to all countries? My view is that they aren’t, and that in countries like South Africa different conditions exist. Recent research found that managed honey bees should be kept as far from conservation areas as possible. This calls for some close examination. Where, for instance, is most of the research and commentary coming from? Does it make a difference that they are from non-African systems, where honey bees are not indigenous? And what difference does it make that in Africa bee species managed by beekeepers are the same as those that are wild? African bees trapped into hives often abscond and swarm and at no time do beekeepers have any idea if the bees there are “new or old ones”. Does it make sense to even talk about a resident population of bees (managed or wild), because they’re being housed in a beehive? How does one quantify which foragers (wild or managed) are competing against which or which ones come out on top? This issue has become a bone of contention in the Western Cape province where beekeeping provides not only important income for beekeepers, but indirectly provides jobs in the extended agricultural sector. It’s also a much needed pollination service to growers. As it stands, the pollination demand in the Western Cape increases annually, with projections indicating massive increases. The region’s nature policy suggests that placing commercial beehives on nature reserves will not be allowed. In addition, the artificial removal of honey bees or beehives containing honey bees will also not be allowed. It’s said that placing commercial honey bee hives in fynbos areas – the 100 to 200km wide coastal belt stretching from Clanwilliam on the West Coast to Port Elizabeth on the Southeast coast – might negatively impact on the hundreds of other indigenous pollinators and their conservation owing to competition for nectar resources. At the same time, the City of Cape Town’s Biodiversity Management Branch acknowledges that this aspect has not been sufficiently interrogated, but that its mandate for conserving biodiversity means that they must follow the precautionary principle. But this approach doesn’t make sense given that in the African context, wild and managed honey bee populations complement each other -– they co-exist because they are the same species/subspecies . In my opinion, they cannot be separated or spoken of in isolation. A number of species have co-evolved with the natural vegetation. These include the Cape bee in the winter rainfall region of southern Africa and the African bee in the summer rainfall area. It would obviously be unwise to overstock an area with managed hives. But to test how much an area can accommodate or even support bee populations will require a good body of scientific evidence. This hasn’t happened yet in South Africa. It would be naïve to assume that there are no tangible concerns when it comes to the complexity of wild versus managed honey bees. For example, research about the transfer of diseases strongly links the presence and prevalence of diseases and pathogens that are common in managed honey bee colonies to disease in wild bees. But we often hear the saying “African solutions for African problems” – and this is one of instance where this needs to be given weight. It is not enough to simply adopt and implement an approach designed in Europe or the US. Africa’s situation requires a different approach. It’s critical that South Africa understands the context in which conservation measures are developed: it shouldn’t just conserve for the sake of conservation.